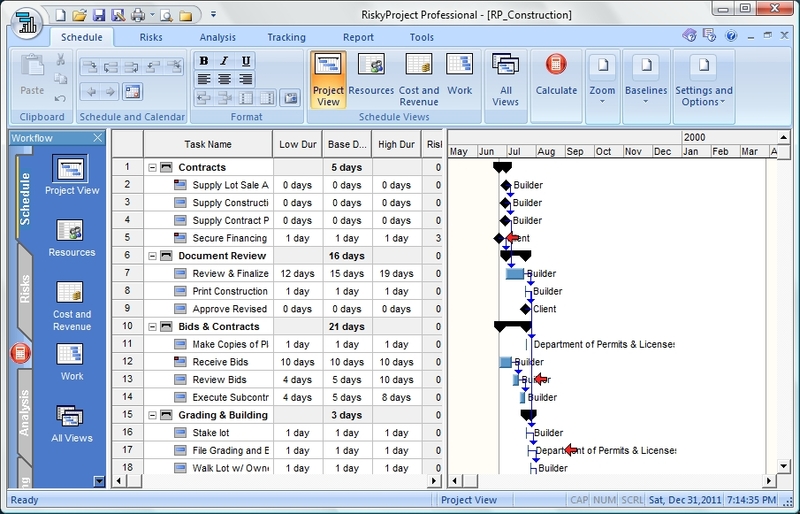 The original (baseline) project has 93 tasks. They represent all the activities starting from the awarding of the contract and finishing with the final walk-through. Some tasks have the constraint “Must start on”. Other tasks, for example “Review Bids”, have deadlines.